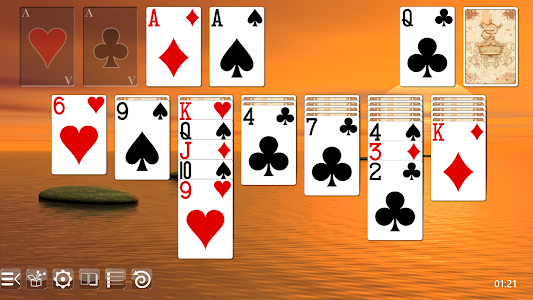 The most ADDICTIVE table card game ever invented - where YOU are your own worst enemy - FREE SOLITAIRE! 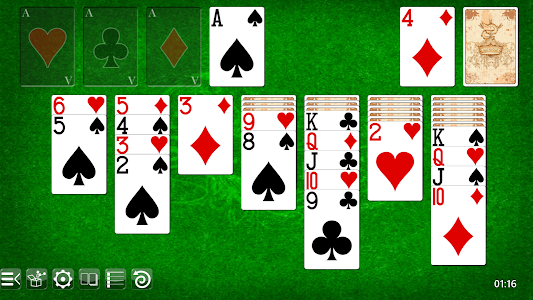 Whether you just want to procrastinate or challenge your brain, take a look at why THIS VERSION of FREE SOLITAIRE blows the rest of the solitare apps off the screen. 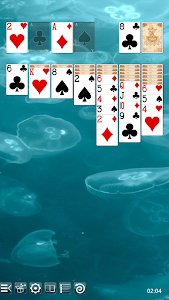 - Play free solitaire online or offline - Internet is not required! - Lush Louvre-quality graphics. Cards and game table are easy to read. - Made a mistake? No worries with the undo function. - Portrait mode or Landscape mode - self-adjusting layouts. 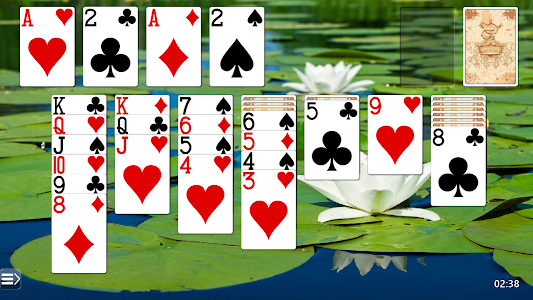 - Multiple card and table top designs. - Draw 1 or Draw 3 game play. - Accommodates EVERY screen size imaginable. From Android phone to high-def tablets. - First, choose from 5 table backgrounds and 2 card backs to suit your personal taste or mood. - 7 piles of cards are laid from left to right. Each pile contains one more card than the last. The pile on the far left contains a single upturned card; the second pile contains two cards, with each pile to the right containing an additional downturned card. - Build up a stack of cards starting with Ace and ending with King, all of the same suit. - Once you achieve this, move the sequence to a "foundation" at the top of the table. This marks the suit as "complete". - Complete all suits - sequencing from Ace to King - and you win the game! SOUND CHALLENGING? YOU BET IT IS! Fortunately, we’ve brainstormed some ways to help you along. 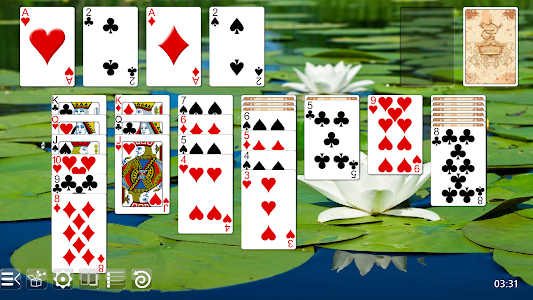 HOW IS THIS FREE SOLITAIRE APP UNIQUE? - Mistakes happen, you can UNDO your last move. - Choose to draw 1 or draw 3 cards! - Are you a righty or lefty? Deal from either the left or right side. Every bit makes a difference. 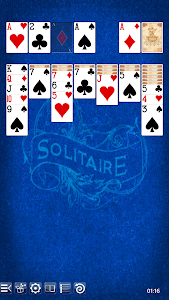 - Solitaire is of Scandinavian or Baltic origin. 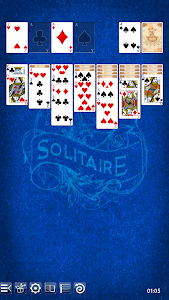 - The original name for Solitaire/Klondike/Patience is "cabale" which means "secret knowledge." 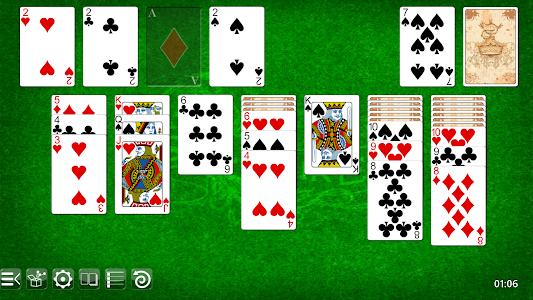 - There are over 100s of Solitaire versions - but THIS ONE is the best! 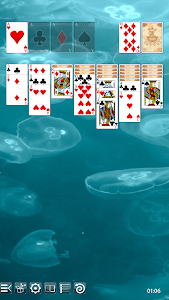 - Free Cell Solitaire was incorporated into Windows 95. 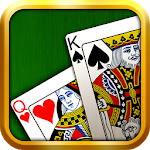 - With a deck of 52 cards, you can play multi-player Solitaire game called "Solitaire poker." 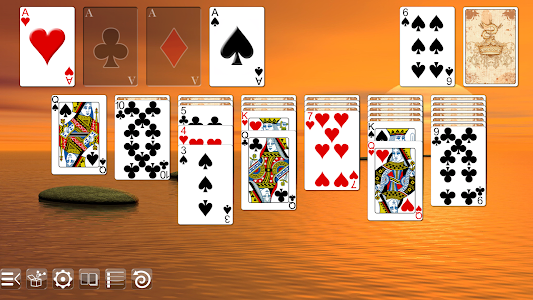 - Solitaire is the most popular form of procrastination when an exam or actual work must get done. Try it yourself! FIND OUT about our other card game apps by visiting our website! Increases card size on certain low resolution devices.